This Black Toast mug by Emma Bridgewater is the right size for a decent cuppa! 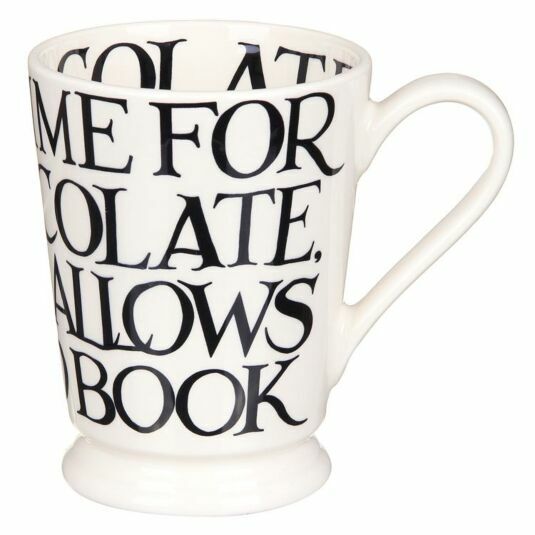 It will hold about a pint of your favourite hot beverage, be it tea, coffee or hot cocoa! 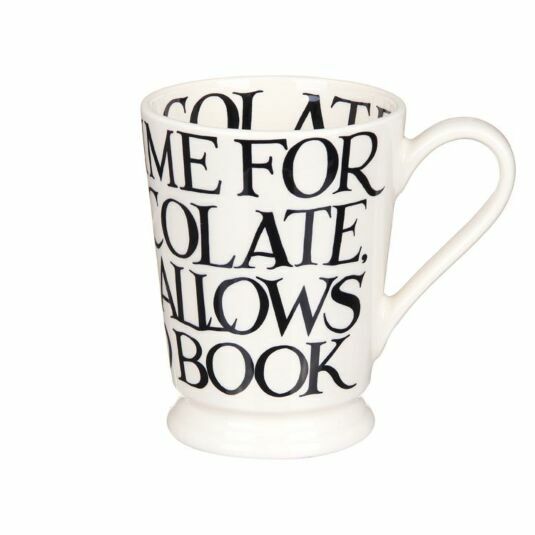 ‘HURRAY TIME FOR HOT CHOCOLATE, MARSHMALLOWS AND A GOOD BOOK’ are the words features around the walls of this tall mug, perfectly fitting for your cosy nights in. The shape of the mug is tall and elegant, with plenty of room to float your marshmallows! This mug is both dishwasher & microwave safe. Recommended to wash in lower temperature with liquid detergent to maintain appearance. 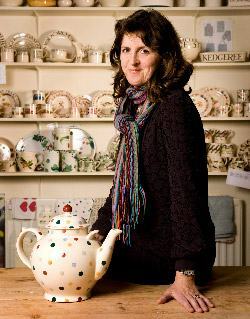 Emma Bridgewater’s earthenware pottery is made by hand in her factory in Stoke-on-Trent, Staffordshire in England. Focusing on typography and orderly patterns created from lines of text, Black Toast is a simple but undeniably stylish range. The letters themselves are designed by Emma Bridgewater’s husband, Matthew Rice, who has had an interest in lettering since his school days. Combined with the black and light cream colour scheme, this range is both sophisticated and elegant. It works wonderfully with the Marmalade range from Emma Bridgewater.